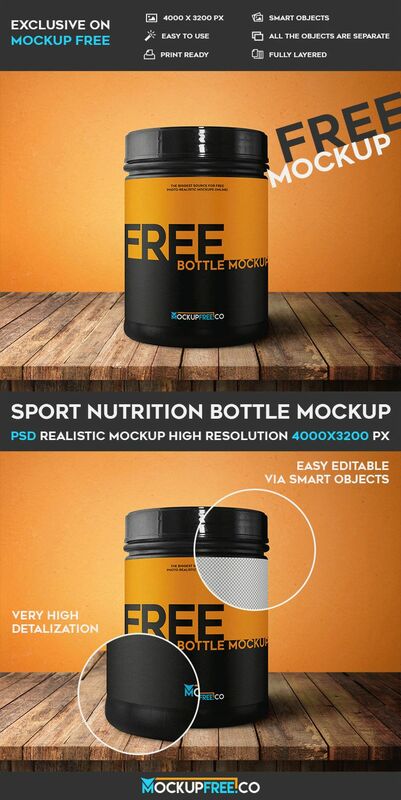 Sport Nutrition Bottle – it is absolutely exclusive Free PSD Mockup for your business or for improving your skills. This is a realistic PSD mockup for business and entertainment. All the customizations can be made using Photoshop. Get this Free PSD mockup and enjoy all the benefits!